Assembling your wedding timings can seem like a huge task, so we’ve pooled our expert-witness knowledge to offer some advice on what works well, when. Have your guests arrive 30 – 45 minutes before your ceremony. Refreshments aren’t essential at this stage as beverages are generally not permitted during religious or civil ceremonies. Depending on the type of ceremony you are having, allow 30 – 45 minutes for the “I do’s”. Your celebrant will be able to advise whether you need more or less time than this. Consider whether time is needed to move from your ceremony location to the post-ceremony reception site. Do a bit of Google mapping to check how much transport time to schedule into your wedding timings. 1 and a half to 2 hours hits the post-ceremony reception sweet spot. Less than this leaves you with limited time for photos and mingling. More than this can leave thumbs twiddling and appetites growing! For a 1 and a half hour reception, aim for 6 – 10 canapés and 3 drinks per guest. For 2 hours, aim for 8 – 12 canapés and 4 drinks per guest. Chat with your photographer about how long will be needed for any planned shots. Factor this into your wedding timings. If you have lots of photos to fit in then ask your caterers to hold you back some canapés. Task a bridesmaid or groomsman with requesting these at a good moment. As the post-ceremony reception winds down, have your MC announce that the wedding breakfast will soon be starting. It usually takes around 15 minutes for guests to make their way to their seats so definitely include this in your wedding timings. If you plan on doing a receiving line, make your post ceremony reception shorter, to dedicate around 30 minutes to this. From starters hitting the table, to dessert plates being cleared and toasting drinks poured, 3 courses will take around 2 hours to serve 70+ guests. For 2 courses, this would be around 1 hour 15 minutes, and for 1 course allow 50 minutes. If your wedding breakfast is heavy on sharing-style elements, allow 15 minutes of wiggle-room as sharing style often takes longer for your guests to eat. As your caterers, we keep a close eye on your wedding timings and pace your wedding breakfast accordingly. If you would like further timing advice for your wedding breakfast, let us know! Allowing 10 – 15 minutes per speech works out about right. Speeches usually begin after desserts but can be scheduled between courses. Keep in touch with your caterer about speech timings, as your menu may require precise cooking times. Pickle Shack will advise whether speeches between courses might impact your chosen dishes. Photographers will be hard at work during your speeches so make sure you chat to them about the key moments. If Pickle Shack is feeding your photographer, we can make sure their food is ready at a suitable interlude. Nothing rounds off a wedding feast like a good cuppa! Tea and coffee can be served to tables, but note that this takes a long time. A tea and coffee station gets guests up from their seats to mingle and is kinder on your wedding timings! It’s also a perfect reason to move away from the wedding breakfast area if a room turnaround is required. Not everyone will fancy a tea or coffee, so if your bar is not already open, now is the time to get the drinks flowing! Check in advance how long your DJ and / or band will need to set up for the evening reception. 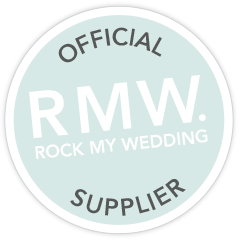 Consider which areas of your venue these suppliers need access to when making wedding timings decisions. Your venue team and / or caterer may also need access to make changes to the room lay-out for your evening party. We recommend a 15 – 30 minute lull between your wedding breakfast and speeches ending and the arrival of evening guests. If any wedding timings have over run, this can be absorbed here. Cutting your cake once the evening guests arrive welcomes them in with some celebratory spirit. It also fills a little time whilst the evening reception is set up. However, you can cut your cake at any point during your day, so don’t feel like you must adhere to any rules or traditions. Whenever you schedule it in, give it 15 minutes. 5 for the MC to announce and gather a crowd, 5 for your photographer to get a great shot of you slicing and 5 for guests to take photos and admire the cake. Much like your cake cutting, your first dance can happen whenever you want it to! Lots of couples aim to have it around the time the band, DJ or playlist is going to start. That way your dance floor warriors can join in and get the evening party underway! Whenever you choose to dance, allocate a slot in your wedding timings so that your MC can get everyone’s attention. The evening portion of your wedding probably won’t require strict scheduling. Your DJ, band or playlist master should all know when to start and finish. Make sure your MC knows if any announcements are required for additional entertainment – fireworks, magicians, rodeo bulls etc. Decide with your caterer when your evening food should be served. If Pickle Shack are serving your evening food, we can portion and serve your wedding cake at this time too! Let your guests know in advance when to book taxis for their journey home. Sadly, the Big Day must end at some point! As one of the few suppliers who will be with you on the Big Day, your caterers play a big role in keeping your wedding timings on track. Pickle Shack will liaise with your MC, venue manager and any relevant suppliers to get it just right! Our wedding expertise don’t stop at the food! If you fancy any additional help, we have several tiers of planning support and wedding day coordination available – click here to find out more!